Who wants a Diddy debit card? We do! Most partygoers dead the responsibility of being the designated driver, especially when it comes to New Year's Eve. Have no fear, Diddy's here to give you all a ride home. For the second year in a row, Sean "Diddy" Combs and CÎROC Ultra Premium Vodka are partnering with the Taxi and Limousine Commission to get thousands of people home safely this New Year's Eve by picking up their transportation tabs. Diddy and company will be handing out $15 taxi debit cards and one-way fare Metrocards to ensure revelers bring in the new decade safely. Now that you know how to get home, where should you go? 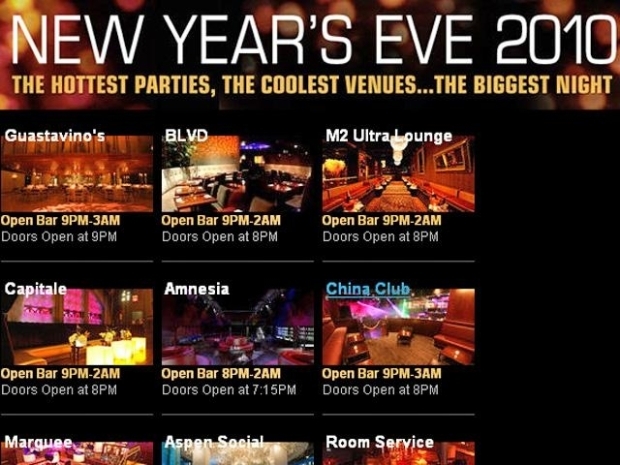 We've got a list of the hottest New Year's Eve parties in the Big Apple this year. Check 'em out.